Eagle Pools, Inc., is a local, second-generation, family-owned swimming pool company. 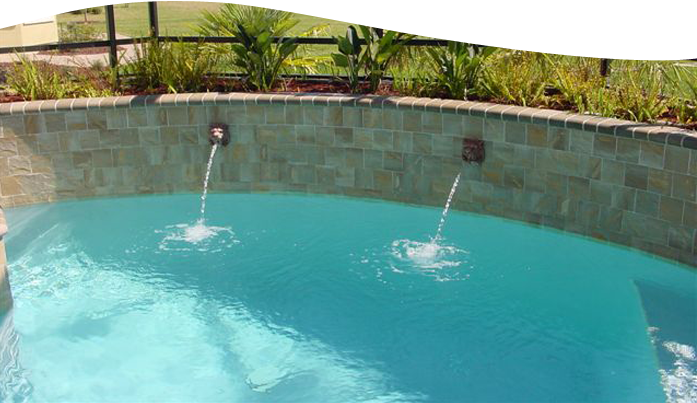 Our owners, Brian Curts and Kenny Young, are well known in the Northeast Florida area as premier pool builders. They have more than 60 years of combined experience in the construction and renovation of swimming pools. Don Curts (Brian’s dad) and Kenny Young incorporated Eagle Pools in 1994. Don was state-certified as a residential and commercial swimming pool contractor. He was in the swimming pool business for more than 20 years. When Don was diagnosed with ALS in 2006, his role became more of an advisor and Brian and Kenny took over the daily operations of the business. Kenny has been in the swimming pool industry for over 40 years. He grew up building swimming pools in Buffalo, New York for his uncle who owned a pool business. He moved to the Jacksonville area in 1978 where he continued his pool building career. Brian grew up in the business, working alongside Don and Kenny part-time during high school and full-time during college. He graduated with a BA in Construction Management in 2000. He interned with a reputable local construction firm for 4 years and came back to Eagle Pools, Inc., in late 2004. He is state-certified as a residential and commercial swimming pool contractor (Lic# CPC1457363) and as a general contractor (Lic# CGC1505515). Both pool professionals are extremely knowledgeable with anything related to the swimming pool industry and are happy to answer any question you may have. Their passion for what they do is evident when you talk to them. We pledge to earn your trust and promise to work on your property as we would want someone to work on ours. We always go the extra mile to put the value into the construction of your swimming pool. If we wouldn't build it in our backyard, then we won't build it in yours! Know your swimming pool design is in the hands of licensed experts when you contact us at (904) 737-3434 in Jacksonville, Florida.